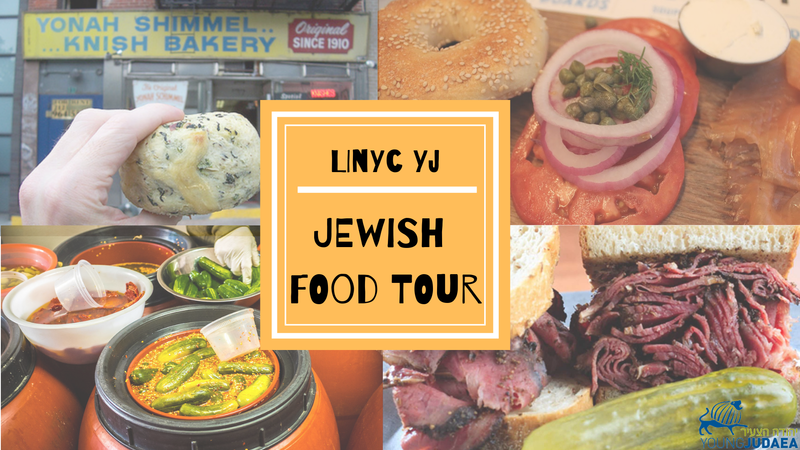 Join LINYC YJ in a Jewish food tour on the Lower East Side. Led by the one and only Nathan Rubinger, we’ll visit historic restaurants such as The Pickle Guys and Yonah Schimmel’s Knish Bakery! Learn about the history of the Jewish immigration and assimilation to NYC and a bit about the local synagogues. We will also stop by the site where Young Judaea was founded 110 years ago! We suggest bringing $10-20 for yummy noshes. *Several of the locations are not hechshered kosher. However, none of the places we’re stopping at serve unkosher meat. We will announce which locations are hechshered and which are not during the tour.